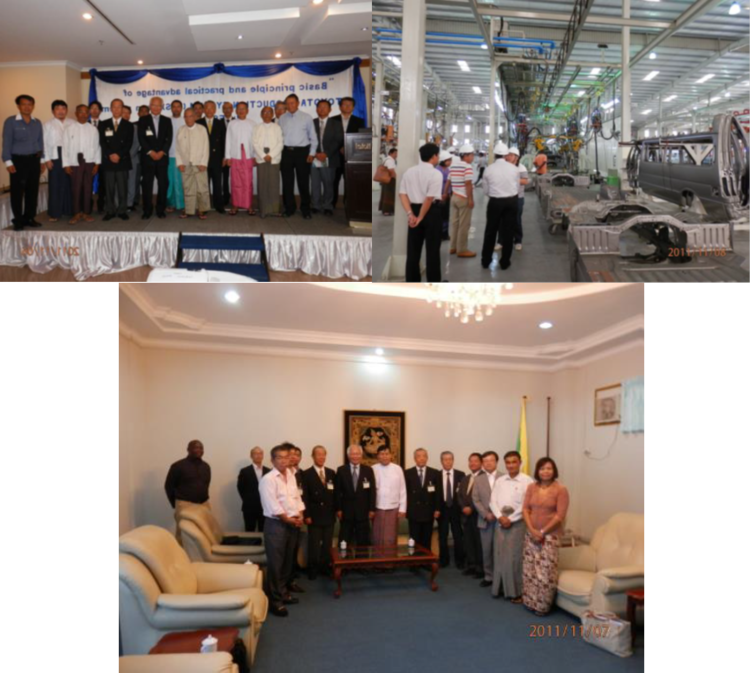 2008-Mr.S.KUROIWA was Invited to have a guidance for "TOYOTA Way Work Shop" by UMG, and impressed to support Myanmar's future development by using TPS. 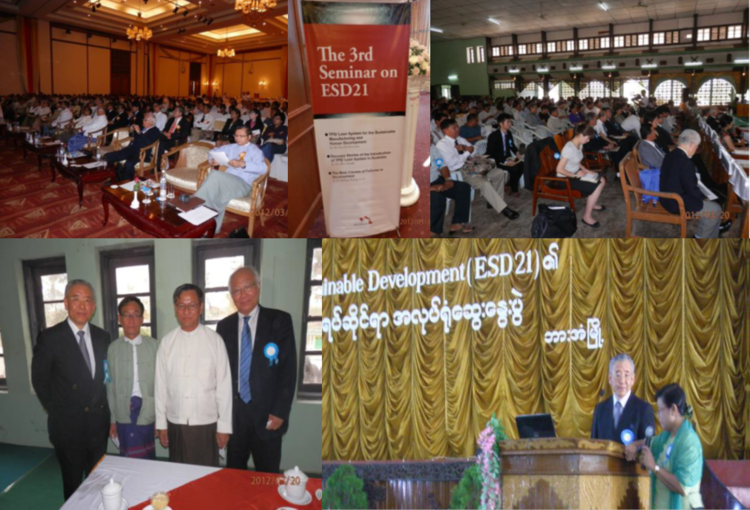 2010 October-ESD21 was established and 「Myanmar Study Group」was started. 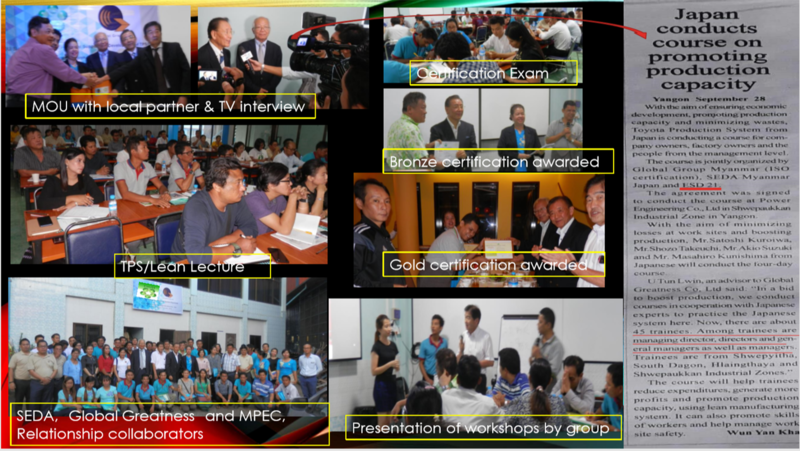 2011 February-First official seminar was held at SEDONA with 300people. 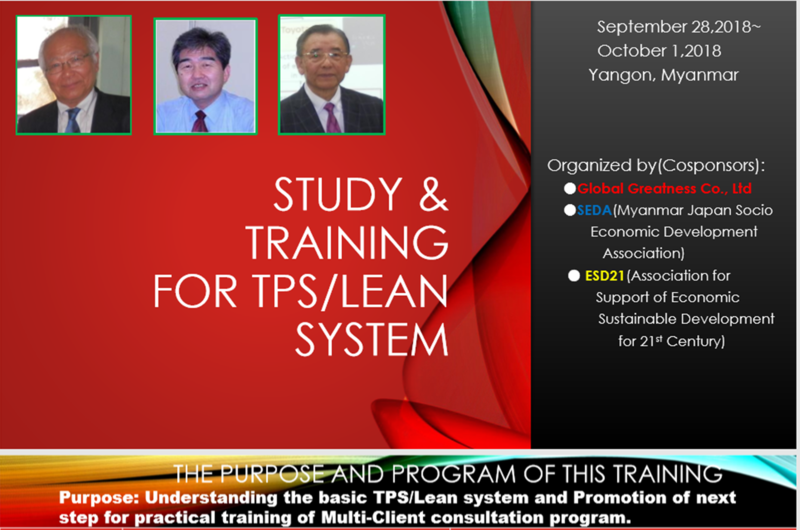 2011 November-First official business mission including TPS seminars (200 people)　in Yangon and visited to Nay pyi taw(Ministry of Foreign Affairs)and TPS advice to SSS Motors, members 12. 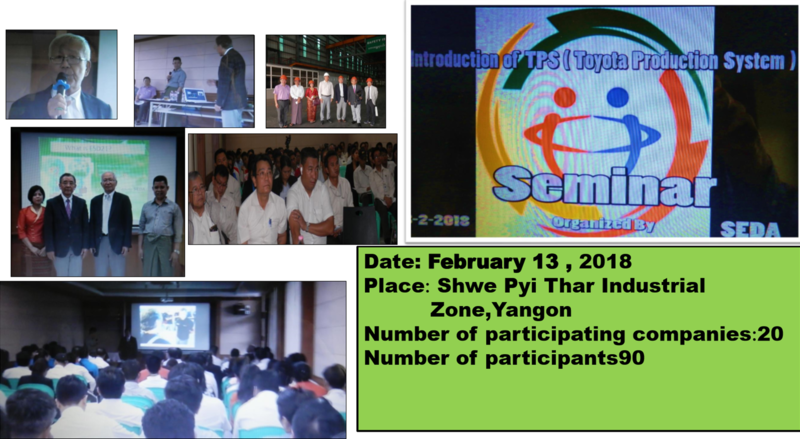 2012 March-Business exchange mission and TPS seminar(400people) in Yangon and Hpa-An, Kayin state, Mission members 18. 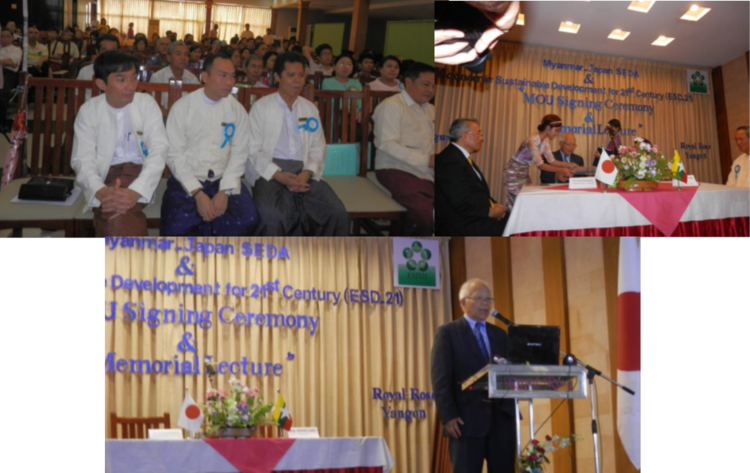 2014 August-MOU agreement between ESD21and Myanmar-Japan SEDA in order to build a friendly relationship and partnership in the field of business based on concept of TPS/ESD21. 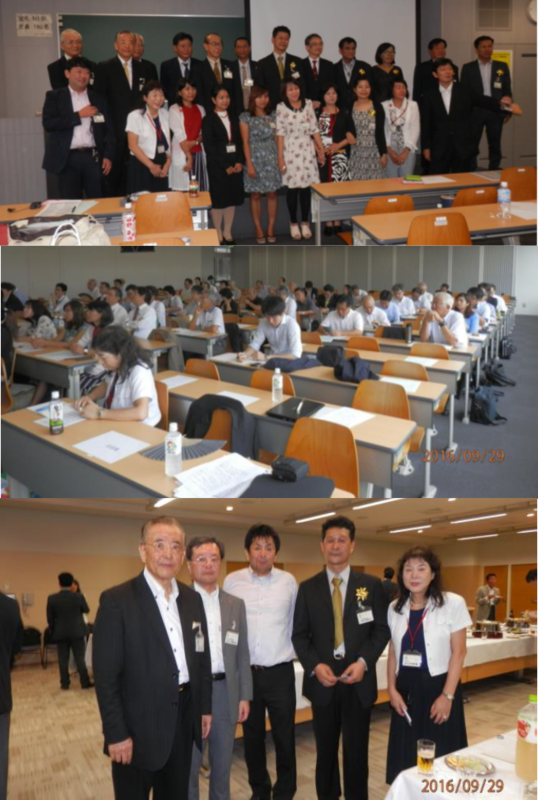 2016 April-Held Partnership with SEDA 2-year anniversary exchange meeting & seminar in Nagoya. 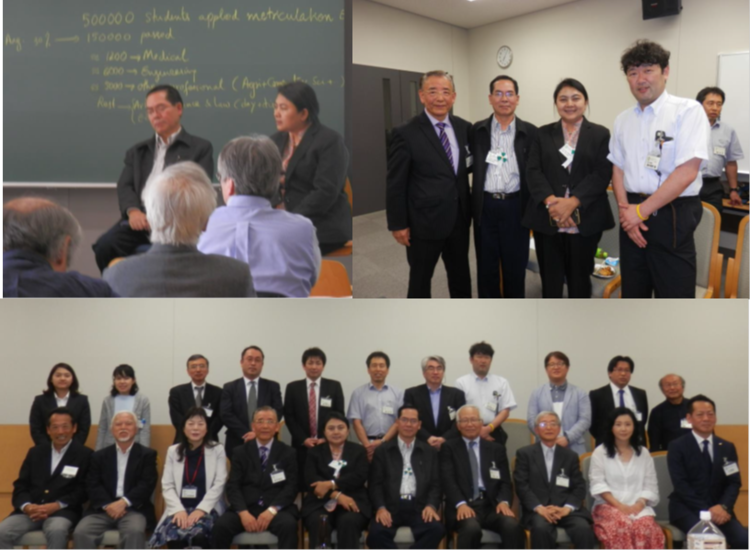 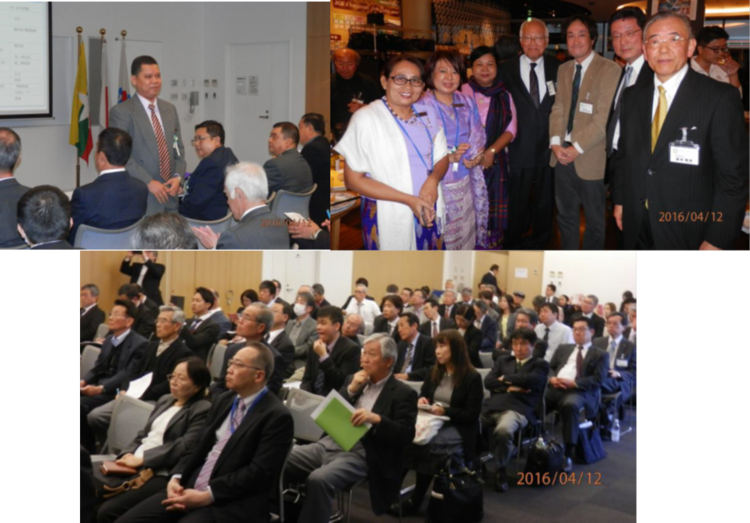 2017 April-Held exchange and seminar in Nagoya with Dr. Sint Soe, Rector of Technological University and Dr. Kay Thi Lwin, Rector of Thanlyan Technological University Yangon, in Nagoya. 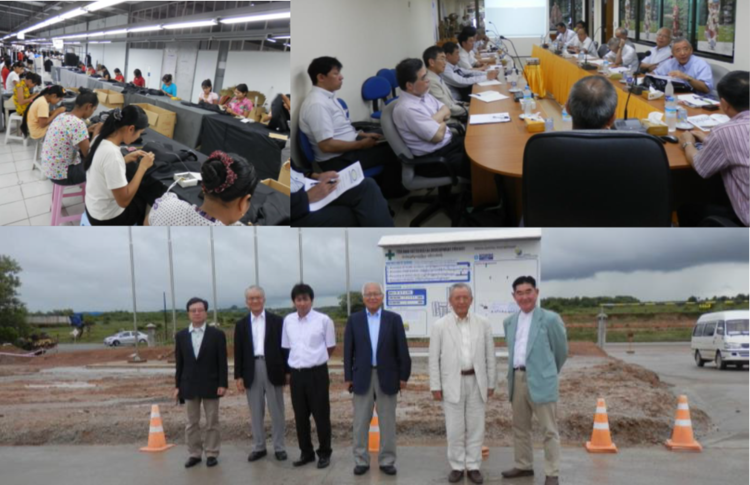 Since ＥＳＤ２１was established in 2010, we had the successful Myanmar seminars and reported latest news for our members every two or three times a year which were supported by JETRO,JICA and Aichi Industry Promotion Organization (Total participants are more than 2,000) in order to make their interests in Myanmar and increase their motivation to transact with Myanmar.